Designed to suit all of Alspec's® standard screen framing sections, the new Alspec® aluminium cast panels offer a range of styles, patterns and colours. Manufactured from recyclable aluminium, Alspec® cast panels are durable, sturdy and non-rusting. 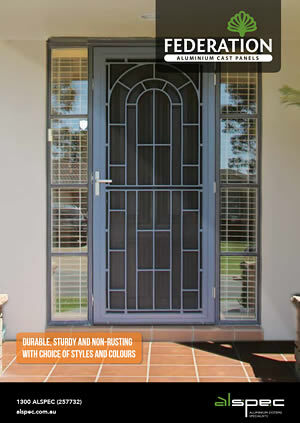 The are available in a full range of powder coat colours and come with a 24 month powder coat warranty.